The Red Kite is 5 miles from Hay on Wye in the beautiful Wye Valley. The nearest rail stations are Hereford and Abergavenny. Hereford is the nearest rail station by car to the Red Kite location, being about thirty minutes away. 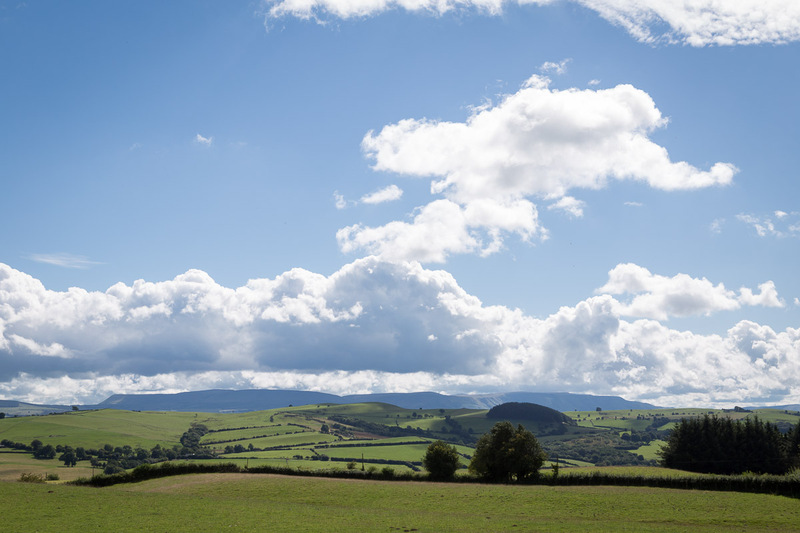 Abergavenny is approximately fifty minutes away. Hereford is on a direct line from London and is also easily accessible from rail termini in the north and south of England. A collection and drop off service to Hereford or Abergavenny rail stations can be arranged with advanced notice. Please do print off the directions as we share our postcode with another property a little way away and some satellite navigation systems are not reliable. Follow the B4594 towards Gladestry and Newchurch. Once you arrive at Newchurch, go through the village passing the church on your left follow the road round to the right and up the hill. Stay on this road for approximately one mile untill you reach a small crossroad and see a red telephone box on your left on a grass verge. Turn right here, continue up this single track road, please ignore the no through road sign on your left as we are up the track one third of a mile on your right. You will see our Red Kite sign set back from the road. Turn into our drive and follow it round into the courtyard. Cross over the bridge from Broad Street heading towards Clyro. After approximately one mile at the junction turn right onto the A438. Take the second left, about 400 yards, sign posted The Baskerville Arms, Cosy Under Canvas and Newchurch. Immediately turn right up Clyro Hill, sign posted Newchurch and Cosy Under Canvas and follow the road for approximately four miles. At the junction with the B4594 you will see a red telephone box on the grass island on your right, and a black and white stipe road sign signalling left to Painscastle and right to Newchurch. do neither, cross straight over, after the first house on your left you will see a no through road sign, continue up the single track road for about a third of a mile. On the right you will see the sign for The Red Kite at Llanoley Farm, set back from the lane in the stone wall. Turn in and follow the track round to the courtyard and you have arrived at The Red Kite. Take the A438 signposted towards Brecon. Continue for approximately twenty miles until you reach Clyro. Take the first right, just before the Baskerville Arms, signposted Newchurch, The Baskerville Arms and Cosy Under Canvas. Immediately turn right up Clyro Hill, signposted Newchurch and Cosy Under Canvas and follow the road for approximately four miles. At the junction with the B4594 you will see a red telephone box on the grass island,and a black and white striped road sign reading left to Painscastle and Right to Newchurch, do neither but cross straight over, after the first house on your left you will see a no through road sign, continue up the single track road for about a third of a mile. On the right, just set back from the road you will see the sign for The Red Kite at Llanoley Farm, set in to the stone wall, turn in and follow the track round into the courtyard. Take the A40 towards Brecon. After passing through Crickhowell turn right onto the A479 towards Talgarth. Follow this road until you pass through Talgarth and you reach Bronllys. Turn right towards Glasbury and join the A438. At Glasbury turn left, crossing the river, and continue on towards Clyro. You will pass signs on your left for The Baskerville Hall Hotel just before you reach Clyro. At Clyro take the third left, this is after the Texaco garage and the second turning past the junction to Hay on Wye, look out for the brown signpost for The Baskerville Arms, Cosy Under Canvas and Newchurch. Take this left, then immediately turn right up Clyro Hill, signposted Cosy Under Canvas and Newchurch and follow the road for approximately four miles. At the junction with the B4594 you will see a red telephone box on the grass island, with a black and white stripe road sign pointing left to Painscastle and right to Newchurch, do neither, cross straight over, after the first house on your left you will see a no through road sign, continue up the single track road for about a third of a mile. 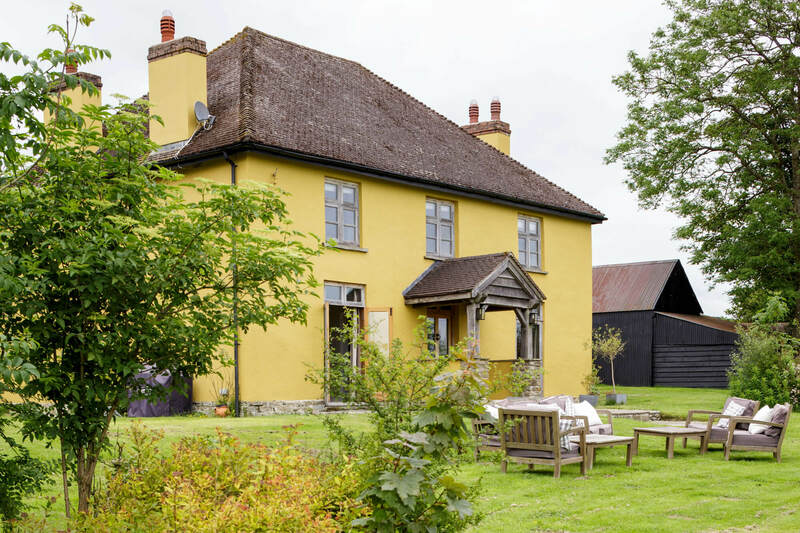 On the right you will see the sign for The Red Kite at Llanoley Farm set into the stone wall, turn in and follow the track round into the courtyard and you have arrived at the Red Kite.